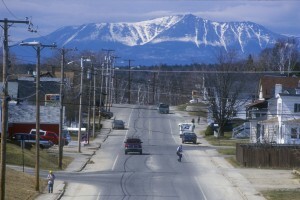 The Maine SBDC has received a grant from the U.S. Small Business Administration (SBA) to develop a program that provides entrepreneurial advising and training for potential and existing business owners in the Katahdin Region who have been adversely affected by the closure of the Great Northern Paper Company. Are you thinking about starting a small business? Or do you already own one? There’s a free small business resource program for the Katahdin Region ready to help you with everything from starting, to maintaining and growing your small business. The business advising is confidential, offered at no charge and provided by Maine SBDC business advisor Ann McAlhany. For more information or an appointment please call Ann at 207-942-1744 or ann.mcalhany@ceimaine.org. Whether you are an established small business, an emerging entrepreneur, or thinking of starting a business, there are many resources that can help you along the way with starting, maintaining and growing your business – most of them are free or low cost. The Katahdin Region Small Business Resource Guide has been created exclusively for the Katahdin Region and will put you in touch with the people and programs that will advise mentor, educate, inform and assist you with all your small business needs. On Tuesday, September 22, the Maine SBDC hosted a small business breakfast and resource fair for entrepreneurs and small businesses in Katahdin Region at the New England Outdoor Center in Millinocket. The sold out event featured guest speaker Bob Crowley, small business owner and winner of the reality show Survior: Gabon. Crowley entertained guests with stories of his time on Survivor and about his post-show small business, Maine Forest Yurts in Durham. In addition, attendees connected with representatives from local small business organizations that were on hand to share what they do and how they can help to start and grow businesses. The Maine SBDC is pleased to announce that Designlab of Medway has won first place and Allagash Tails of Millinocket has won second place in the Katahdin Business Plan Challenge. The competition, which started in May, consisted of three rounds which required the competing businesses to create and present business plans that detailed how they intended to start and/or grow their small businesses, with a particular focus on sustainable business growth and commitment to the Katahdin Region. Maine SBDC received nearly a dozen initial entries. An independent panel of judges reviewed business plans and included representatives from the U.S. Small Business Administration, Eastern Maine Development Corporation, New Ventures Maine (formerly Maine Center’s for Women, Work & Community), and MaineStream Finance. DesignLab, an award-winning graphic design and marketing firm in Medway, won first place and will receive $3,500 in professional services. In the process of relocating their business from their home in Medway to a historic three-story building in downtown Millinocket, Designlab will use their winnings to help develop a scalable accounting infrastructure to manage and facilitate business growth. “We are delighted to have won first place in Katahdin Business Plan Challenge. The contest was very well designed in that it forced businesses to carefully examine their business model and ultimately, their role in economic development in the Katahdin area. The grant application process has already helped our business and we look forward to using our winnings to help Designlab grow,” commented Jessica Masse, co-owner of Designlab. Allagash Tails, the second place winner, is owned by Tim Caverly, who has written and published 6 books about Maine. In addition to the Maine-based books, the company offers adult and children’s programs to schools, libraries and outdoor recreation groups to encourage literacy and exploration of New England’s natural world. Allagash Tails will receive $2,500 in professional services, which will include copy editing and illustration work. This business plan challenge was sponsored by the Maine SBDC as part of a grant-funded initiative from the U.S. Small Business Administration (SBA). The program provides entrepreneurial advising and training for potential and existing business owners in the Katahdin Region. 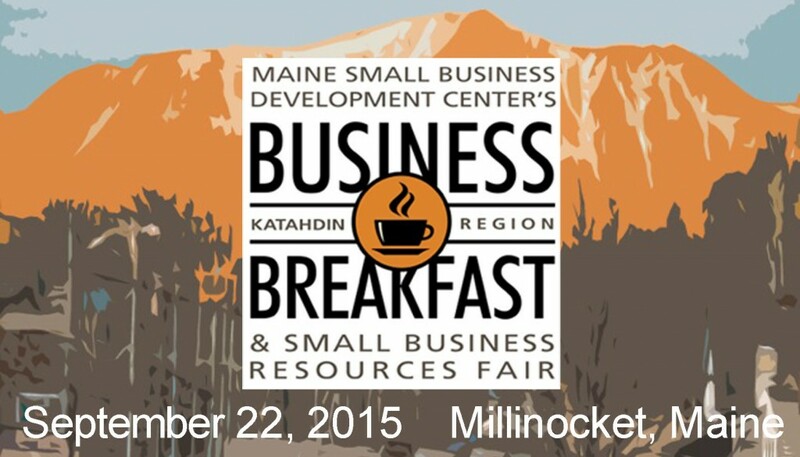 In addition to this competition, the Maine SBDC has created an outreach business advising office in East Millinocket, provided multiple business training events, created a Katahdin Region Small Business Resource Guide and will host a small business resource breakfast on September 22, 2015 at the New England Outdoor Center in Millinocket. The Maine Small Business Development Centers (Maine SBDC) has received funds from the U.S. Small Business Administration (SBA)’s Portable Assistance Grant Program to develop Be Your Own Boss, a program that will provide entrepreneurial advising and training for potential and existing business owners in the Katahdin Region who have been adversely affected by the closure of the Great Northern Paper Company. The program will be a collaborative effort of the Maine SBDC in association with Northern Maine Development Commission (NMDC), Maine Centers for Women, Work and Community (WWC) and the Katahdin Area Chamber of Commerce. This program will be designed to equip entrepreneurs and anyone interested in starting a business with a broad range of knowledge necessary for successfully developing and growing a small business. The grant will provide essential entrepreneurial training to help current businesses and those who may be interested in starting a business explore the opportunities in the area. Maine SBDC will staff a business advising outreach office where a certified business advisor will be available to meet with new and existing businesses to discuss challenges and opportunities confidentially and at no cost. “This grant will provide targeted critical resources to enable us to develop services to help this struggling area,” explains Mark Delisle, Maine SBDC State Director. Beyond business advising, Maine SBDC plans to organize an entrepreneurial workshop series, provide ‘mini-grants’ to select small businesses for professional services, and put together a business plan competition. These activities will be paired with online content that will be available to business owners 24/7. The SBA awards SBDC Portable Assistance Program grants to provide services and/or assistance to increase small business success and viability in communities suffering economic hardship attributable to the impact of a major disaster or economic downturn in their service area. Individuals interested in working with the Maine SBDC can visit www.mainesbdc.org or call 207-780-4420.